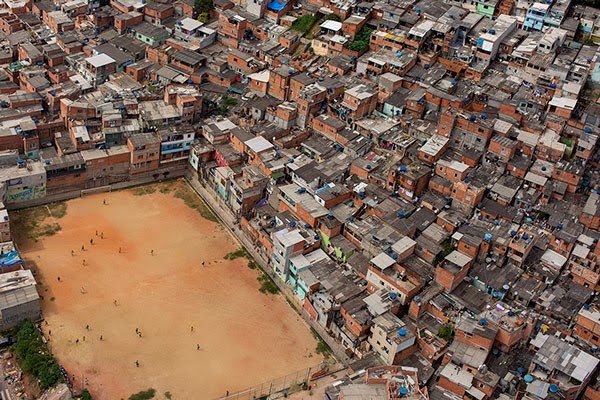 Overhead photos of soccer fields among the slums in the outskirts of Sao Paulo, Brazil that shows the passion for the sport no matter the conditions of the pitch. 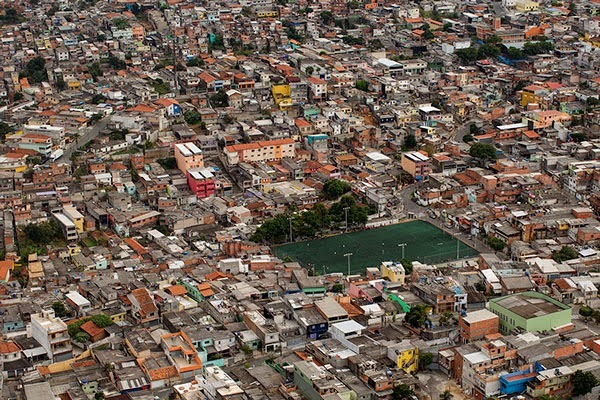 A “terrao" is an oasis in the urban landscape. 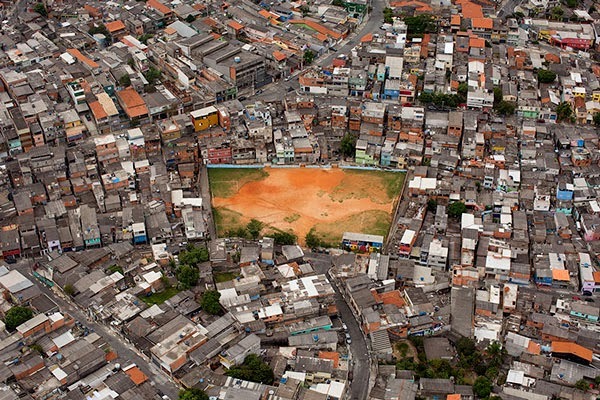 The reddish tone of a soccer field turns into a stage for the resistance of popular soccer. 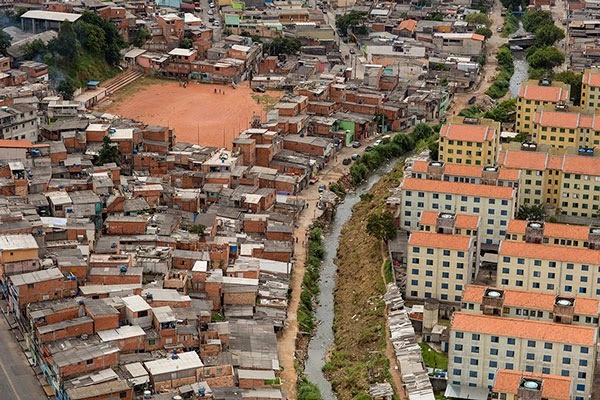 These fields are increasingly rare to see because of property speculation and land occupation. 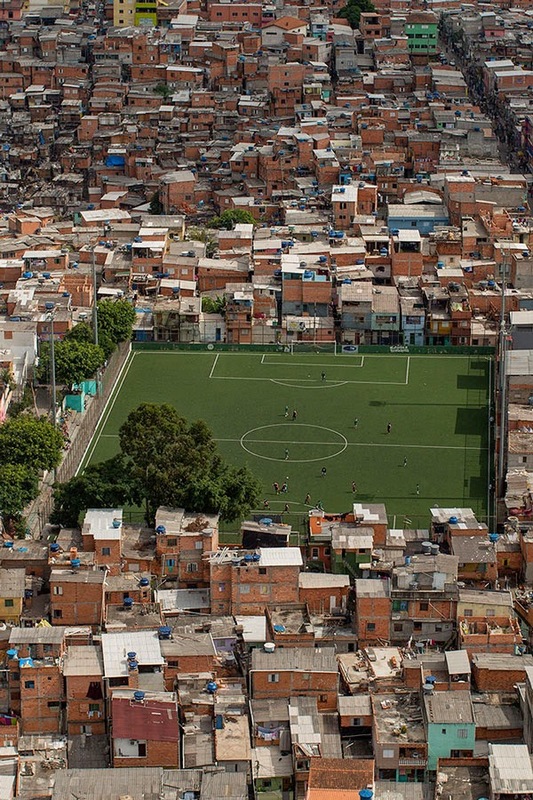 Some of them have their own football clubs, while others are public spots. Some of them are mainly dirt, while others are of sand and weathered grass. 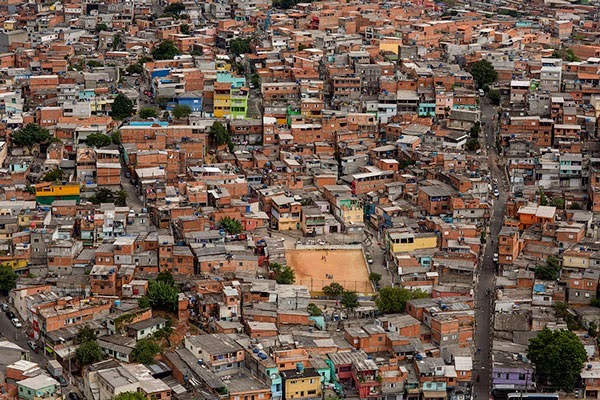 But they are a breath for the hard daily life of those who live in the outskirts of Sao Paulo. 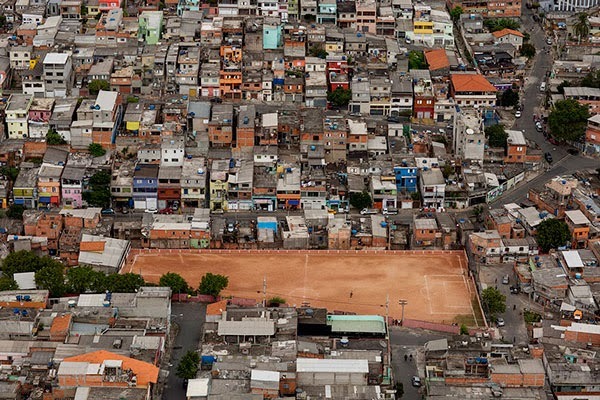 These fields show the urgency for public and communal places to practice sports, a portrait of those who fight for leisure in a city as Sao Paulo. 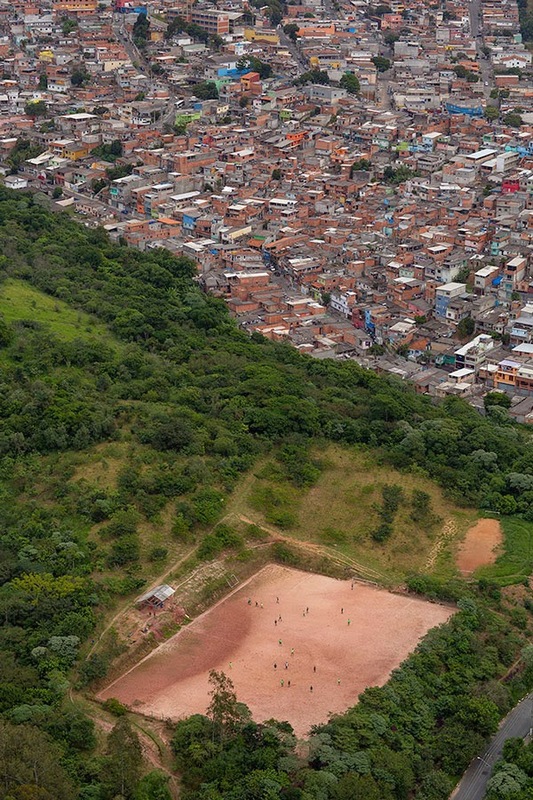 Colored and powerful in the face of the greyish scenario, these fields are a solid basis of soccer’s spirit in Brasil. It’s not hard to find friends, relatives, adults and children cheering together for their local teams. 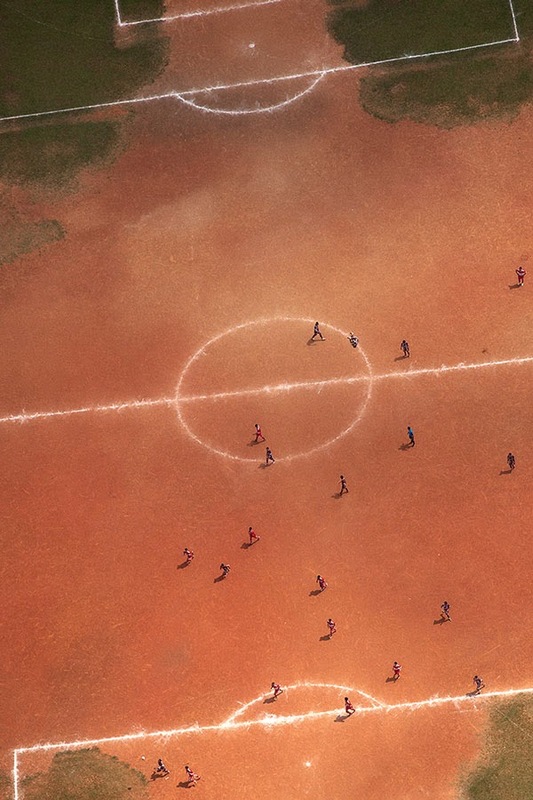 Even through social and political difficulties, a “terrao" shows us the real soccer, far away from a society mediated by powerful media groups. The rawness of a “terrao"can't be fitted as a media spectacle.